The International Journal of Engineering Technologies (IJET) seeks to stimulate and publicizes knowledge of the various topics of engineering technologies. 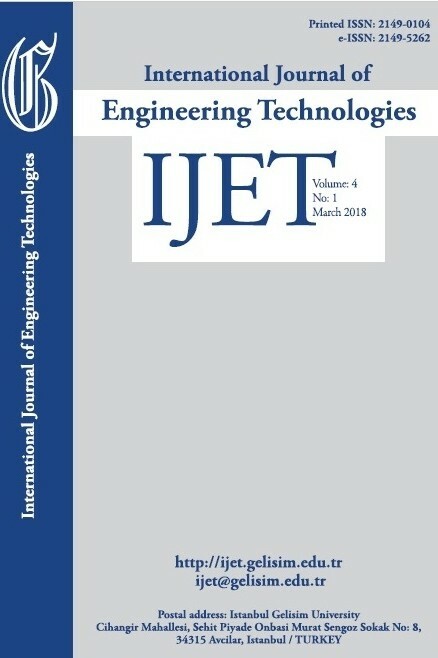 The IJET is a new peer review, open source and free of charge journal, which accepts all types of papers about engineering technologies. The journal targets to present to the international community important results of work in the fields of engineering technologies such as imagining, researching, planning, creating, testing, improving, implementing, using and asking. The journal also aims to help engineers, researchers, scientists, manufacturers, universities, institutions, industries, world agencies, societies, etc. to keep up with new developments in theory and applications and to provide alternative solutions to current multi engineering issues. The International Journal of Engineering Technologies is a quarterly published journal operating an online submission and peer review system. It allows authors to submit articles online and track their progress via its web interface. The journal aims for a publication speed of 60 days from submission until final publication.